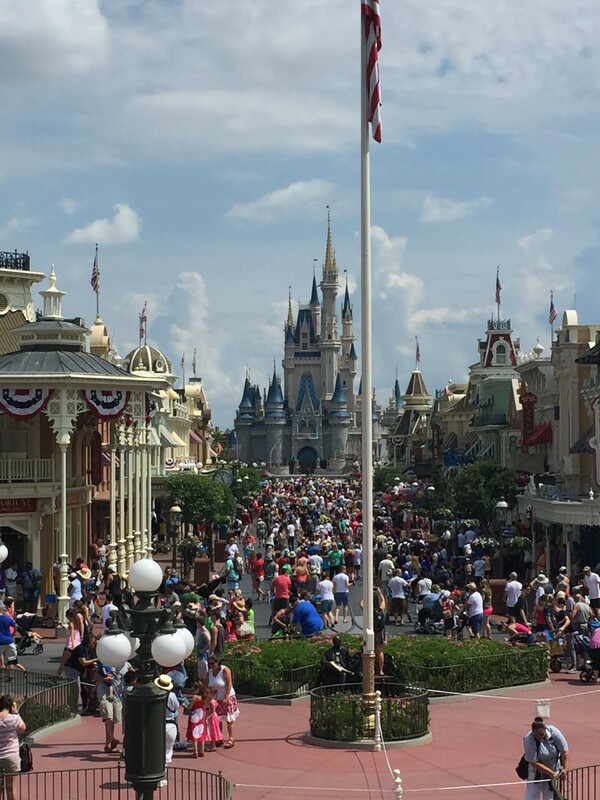 When to visit Walt Disney World is an age old question. Each month of the year has its own advantages and disadvantages. To help you out here is a breakdown of the events which take place each month. 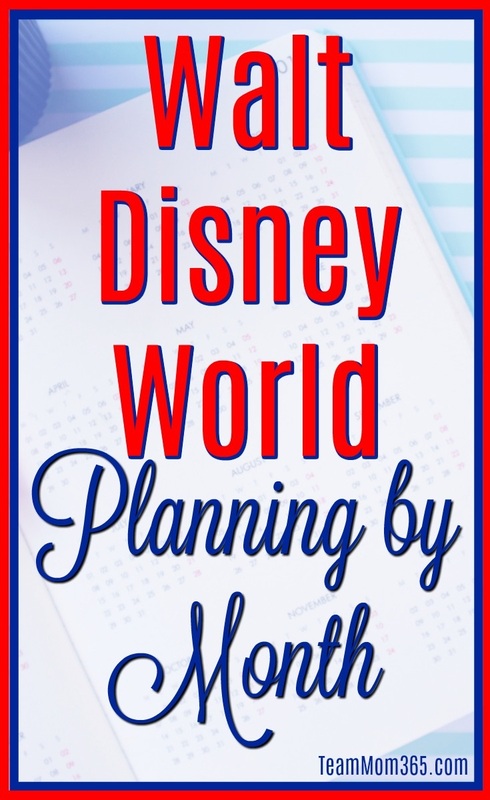 This will to help you decide the best months to visit Walt Disney World when planning your own *MAGICAL* Disney vacation. The first week or so of January is the continuation of the Christmas holiday. You can expect some pretty savage crowds which will start to subside the first weekend of the new year as most people depart on Saturdays and Sundays. This drop in crowds is short-lived as the participants start to converge on Disney the second weekend of January for Walt Disney World Marathon Weekend. Don’t worry, it won’t be as bad as the holiday week but there will be a noticeable uptick in crowds. You will also need to be mindful of road closures on Thursday, Friday, Saturday and Sunday morning. When it comes to the park crowds, the runners typically head back to their rooms after their race and don’t emerge until the afternoon. You will be able to tell who they are by the beaming smile of accomplishment on their faces and a large medal around their necks. Make sure to congratulate all those folks you see. They worked hard for that hunk of hardware. Another event which takes place in January is the beginning of the Epcot Festival of the Arts. In 2019, the festival began on January 18 and culminated on February 25. What started in 2017 as a weekend only event, expanded in 2018 to daily. However, you can expect the weekends at Epcot to be a little more crowded as the locals will visit when they are off work. The last two weeks of January is one of the lightest crowd times of the year. If you aren’t dead set of visiting for a certain event, it’s a great time to visit. Just beware, Disney knows this is a low time too. They sometimes use this time to refurbish attractions and shows. Check out any online refurbishment list for current and upcoming closures. Similar to January, February features an Epcot event and a runDisney event. The beginning of February you will be able to attend the Epcot Festival of the Arts which wraps up on February 25 then Epcot takes a nine day break to turn the park around for the Epcot International Flower & Garden Festival beginning in March. Also in February is another runDisney event. Princess Half Marathon Weekend takes place February 21-24. The weekend features only three races on Friday, Saturday and Sunday morning. Again, there will be a slight surge in park attendance and keep an eye out for road closures throughout the weekend. Something to beware of in February is the east coast February vacations which typically take place the week of President’s Day. As you can imagine, when a good quarter of the country is out of school park attendance will soar. As the month comes to a close the boys of summer start to heat things up at the ESPN Wide World of Sports Complex as the Atlanta Braves play their spring training games at Champions Stadium. During the 2019 spring season the Braves will host games starting on February 25 with the Washington Nationals then wind their way through the spring season against the Pittsburgh Pirates, Miami Marlins, New York Mets, that other team from New York :-), St. Louis Cardinal, Detroit Tigers, Philadelphia Phillies, and the Toronto Blue Jays culminating on March 23 against the Houston Astros. The Epcot International Flower & Garden Festival goes into full swing on March 6 with culinary, horticultural and musical events throughout the month. The Garden Rocks Concert Series taking place at the American Garden Pavilion during the Festival features some of our favorite acts from the past such as Night Ranger, Starship starring Mickey Thomas, and Little River Band. The 2019 schedule will likely be announced soon. Again, school breaks start to come into play as the rest of the country joins the fun with their spring breaks typically falling the last week of March or the first week of April. Spring breakers will be clogging the parks the first week of April. Also scheduled for the first week of April is runDisney’s Star Wars Rival Run April 4-7. Similar to the Princess Half Marathon Weekend, there will be events on Friday, Saturday and Sunday prompting road closures those mornings. In Epcot, the Flower & Garden Festival continues with more of your favorite rockers from the past gracing the stage such as Foghat, Survivor, Smash Mouth, Rick Springfield, Jo Dee Messina, Lonestar and Blood Sweat & Tears featuring Bo Bice. Like all other Epcot events, expect the weekends to see slightly higher crowd levels as locals descend on the parks. As April wanes, the East coast is at it again, this time with their April vacations the third week-ish of April. You can definitely expect an uptick in crowds but not like February vacation or the Spring Break weeks at the beginning of April. Unlike most years, 2019’s east coast April vacation week will fall during the Easter holiday. However, the holiday itself doesn’t cause too much of a draw as there really aren’t many in-park festivities surrounding Easter. The Epcot Flower & Garden Festival continues through May the with Garden Rocks series featuring the likes of Herman’s Hermits, Village People, Don Felder of the Eagles, The Guess Who and The Spinners at the American Garden Pavilion. While it won’t effect crowds in 2018 because it’s on hiatus, Disney’s Hollywood Studios has hosted Star Wars Weekends the last few weekends of May. There is a possibility this will make a return when Galaxy’s Edge opens. The end of May, starting Memorial Day weekend, sees the crowds start their summer swell as the school year ends across the country. Summer recesses start as early as the week before Memorial day through mid-June. It goes without saying that when school is out, the parks will be full and by mid-month every school in the country will be on recess. Yes, it’s hot… very hot… but that doesn’t stop the family vacationers. In years past June was the only month of the year without an major event. However, in 2019, Epcot’s Flower & Garden Festival extends to the weekend of June 6. As always, crowds increase for this event on that weekend due to local attendance. In the future, 2021 and beyond, be on the lookout for Star Wars Weekends at Disney’s Hollywood Studios to return when Galaxy’s Edge opens. In the past they took place on the last few weekends of May and the first couple of June. I am going to sound like a broken record here but schools out… guess what that means, yup – big crowds. Make sure to make your FastPass+ selections, Advanced Dining Reservation and pack your patience. By far the biggest crowds of the summer will surround the Fourth of July holiday. This is especially true for Magic Kingdom Park and Epcot which have spectacular nighttime fireworks displays with special holiday enhancements. Finally! The kiddos will begin heading back to school starting in mid-August. This translates to lower and lower crowd levels as the month goes on. 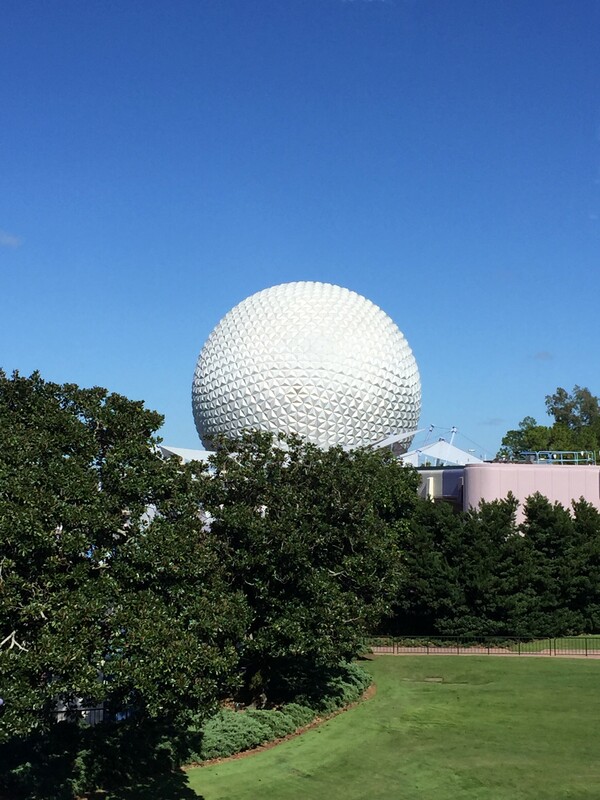 By far Epcot’s biggest event of the year, the Epcot International Food & Wine Festival, starts in late August and winds its way through September and October to culminate in mid-November. This event draws large crowds especially on weekends. In the early years, Mickey’s Not-So-Scary Halloween Party started early in September but in recent years the first parties have crept into late August. You can get a good feel of when the parties will be by looking at the park hours. When Magic Kingdom Park is posting a 6:00pm or 7:00pm closing time that is always a great indicator of party nights. Once Labor Day weekend is over, almost all schools will be back in session. Yippy Skippy you will have the parks to yourself… just kidding! That’s not going to happen. Crowds will go down but not as much as you would think especially if the fall free dining promotion is offered. In the past few years fall crowds have been increasing partly because of free dining and partly because of the popularity of the Epcot International Food & Wine Festival and Mickey’s Not-So-Scary Halloween Parties which continues through the month. Just like September, the Epcot International Food & Wine Festival and Mickey’s Not-So-Scary Halloween Parties will be held all month long. 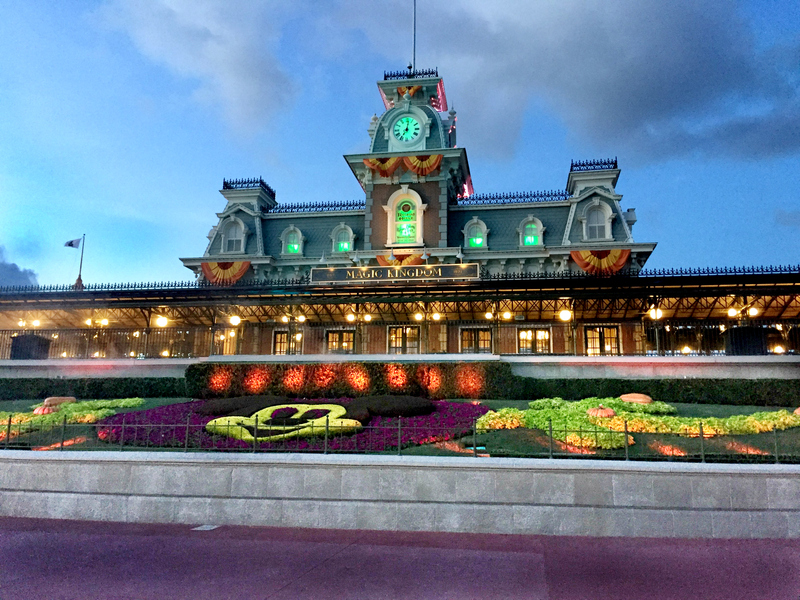 However, as it gets closer to Halloween the Magic Kingdom parties will sell-out so get your tickets early if you are planning on attending during Halloween week. November begins with the last party of the Mickey’s Not-So-Scary season which, like the other Halloween week parties, has been known to sell out. 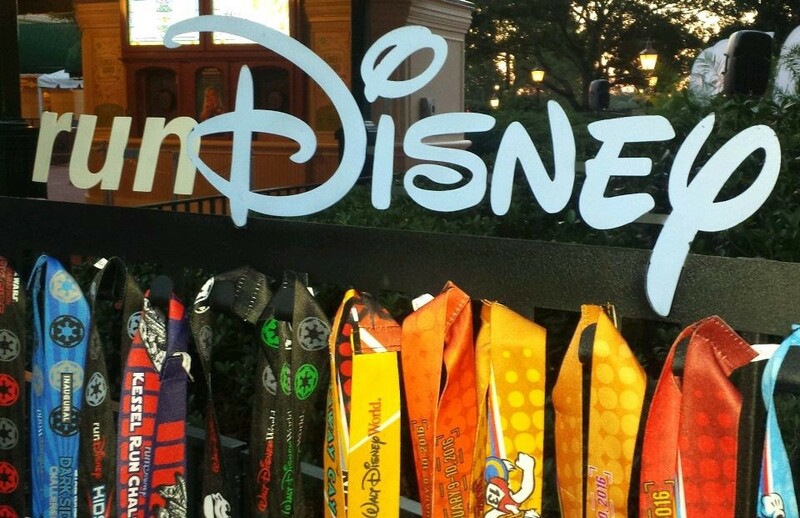 In 2018, the last party of the year was held the same weekend as runDisney’s last race of the year, the Wine & Dine Half Marathon Weekend, taking place the first full weekend of the month. It goes without saying… but I will say it anyway… keep an eye out for road closures and crowd upticks on Friday, Saturday and Sunday that weekend. The second week of November features the debut of Mickey’s Very Merry Christmas Party at Magic Kingdom Park. There is really no rhyme or reason but these parties will sell out through out the season not just those parties closer to the Christmas holiday. Get your tickets as soon as you have solidified your plans. The third week of November is historically one of the busiest weeks of the year and it’s no wonder why that is. With Thanksgiving on a Thursday most businesses and schools have Friday off so many families like visiting this week as they will only miss three days of work and school. As the Epcot Food & Wine Festival winds down in mid-November, things heat back up a week or so later when the Candlelight Processional takes over the American Garden Pavilion with celebrity narrators re-telling the story of Jesus’ birth. The Processional can be very crowded so to have a guaranteed seat make sure to reserve a Candlelight Processional Dinner Package. It doesn’t cost any more and you have to eat anyway so you might as well have a guaranteed seat for the show. Something that doesn’t have a specific start date is the celebration of the holidays at Walt Disney World. 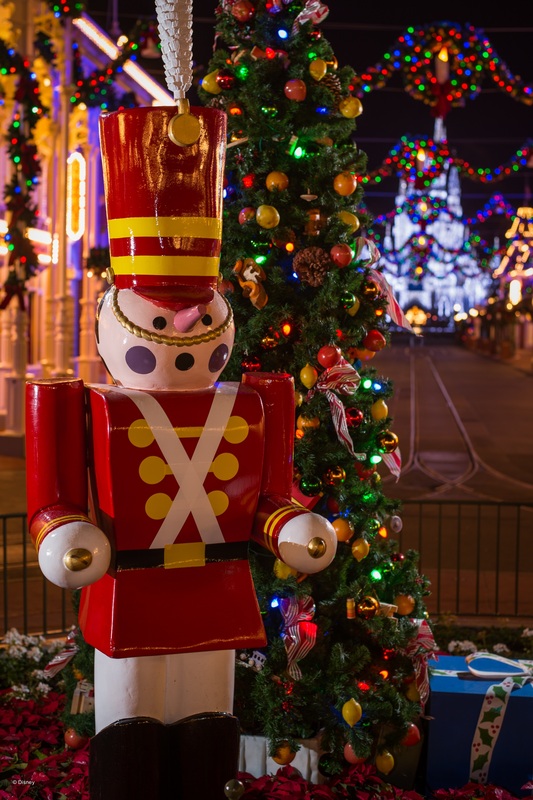 If you happen to be visiting around the second week of November will you begin to notice the holidays come alive bit-by-bit throughout the resort hotels and theme parks. The decorations will be on full display around Thanksgiving week. The holiday events of Mickey’s Very Merry Christmas Party, the Candlelight Processional and the celebration of the holidays at Walt Disney World continue through the month. However, when it comes to crowd levels, December is a study in contrasts. The month begins with some of the lowest crowd levels of the year then ramps up to the highest levels the week of Christmas. Reiterating the other busy weeks of the year (New Year’s Week, Spring Break Weeks, Fourth of July week and Thanksgiving Week) make your FastPass+ selections and Advanced Dining Reservations and you will be way ahead of the rest. If you are looking for a relaxing time with the lowest crowds possible then check out the last few weeks of January, first week of February, the first two weeks of May, most of September and the first two weeks of December. They will be exactly what the doctor ordered. If you are looking for varying experiences during your trip check out the first week of November. This week features Mickey’s Not-So-Scary Halloween Party, the Epcot International Food & Wine Festival and, if you can hang on an extra day or two, you might even get to experience the first Mickey’s Very Merry Christmas Party. If you have to work around school vacations, start by taking a look your school calendar. Most schools fall in one of two categories. The first group starts school the Tuesday after Labor Day but doesn’t get out until mid-June. The second start in mid-August and gets out within a day or two of Memorial Day (depending on Snow Days). If your school starts after Labor Day plan your vacation at the end of August. In all likelihood you will see lighter (not low) crowds and you might even get to experience Mickey’s Not-So-Scary Halloween Party and the Epcot International Food & Wine Festival. If your school starts early, you might want to look at visiting the first week or so of June. While there won’t be any special events, you will see lighter crowds. So what is your favorite month to visit Walt Disney World? Comment below and let us know. 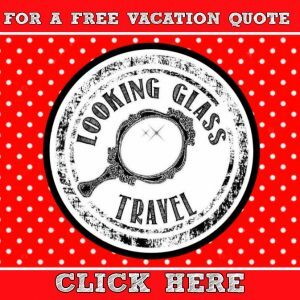 Quiz: Which Disney Resort Should I Stay At? This is a great guide! I’m helping my sister plan her trip and this helped explain which months she’d enjoy more. I am so glad you were able to use this guide. I hope your sister has a *MAGICAL* vacation. This can all be so helpful! Thanks for doing all this! In all the months we have gone, I think September is my fav, besides the skin melting temperature. We’re trying December next year though! We love December too! Great temps and Christmas decorations! The perfect combination. What a great guide! 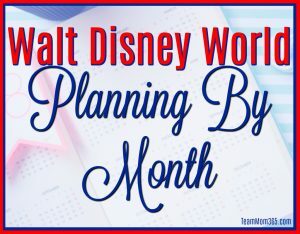 I’m saving this to share with all the folks that I help plan Walt Disney World vacations! Thanks! This is very helpful! I am new at going to Disney with my family and do not really know what happens each month or what to expect. Glad this is helpful! Disney has so many wonderful things going on year-round. Good luck with your planning. What a fabulous guide!!! Thank you for putting it together! You are welcome! I hope it helps when you are planning your next *MAGICAL* Disney vacation.